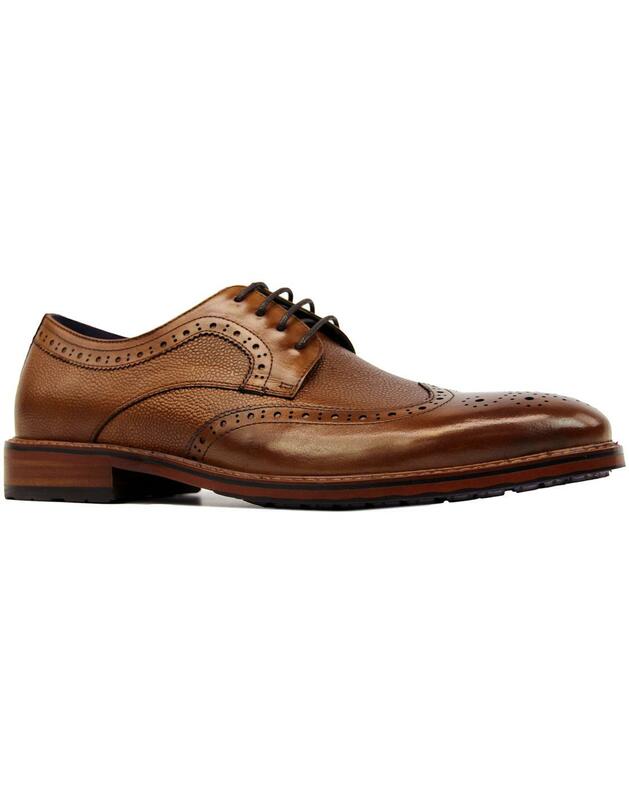 Paolo Vandini 'Sandeep' Men's 1960s Mod brogue shoes in Vintage burnished tan leather. A combination of Scotch grain vamp and smooth leather works perfectly to create a country gentleman's Heritage footwear classic! 'Sandeep' brogues from Paolo Vandini feature traditional Ivy League inspired wingtip, Retro punched broguing and Derby lace fastening. 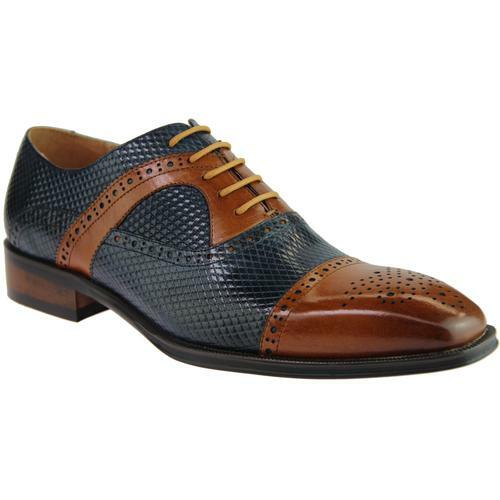 Add an air of refinement and style to your ensemble with a pair of Paolo Vandini 'Sandeep' Brogues. - Paolo Vandini 'Sandeep' men's 60s mod brogue shoes in tan. 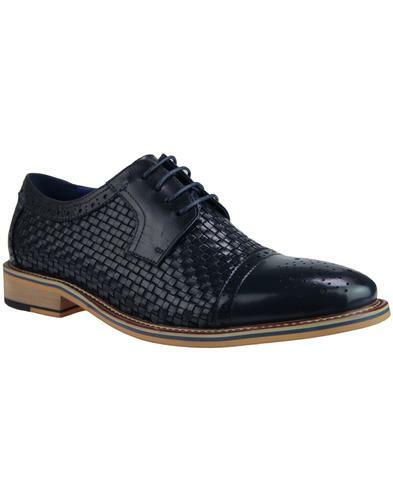 - Scotch grain and smooth leather combination upper. - Vintage burnished finish to the upper. - Retro punched brogue detailing. 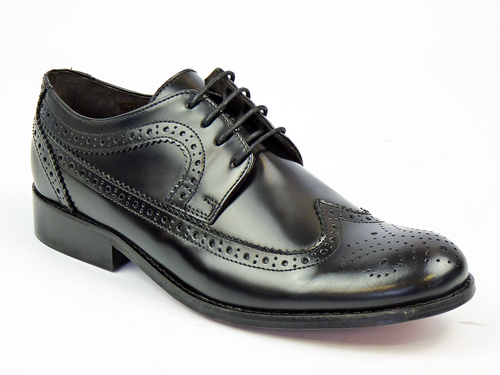 - Ivy League style wingtip with crimped edging. - Wood effect block heel. - Baroque pattern interior print. 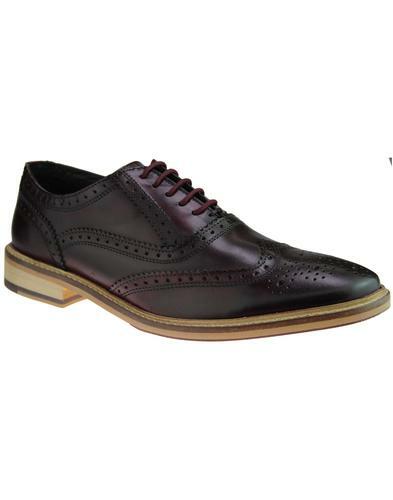 - SKU: Sandeep Scotch Grain Wingtip Brogues.